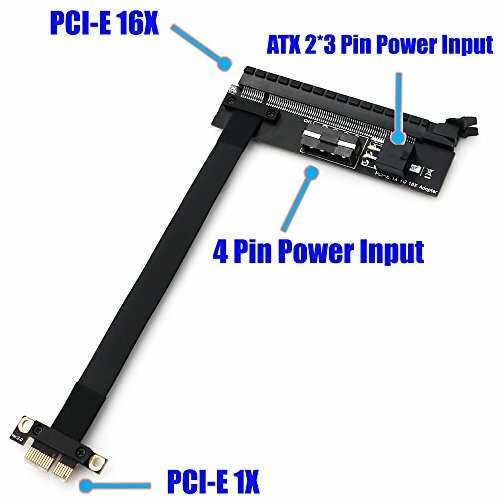 PCI-e PCI Express 1X to 16X Extension cable with 4Pin and ATX 6Pin Power Input Connector by HLT at Pacs BG. Hurry! Limited time offer. Offer valid only while supplies last. View More In Serial Cables. 5.Dustproof cap and golden finger protection cover design. If you have any questions about this product by HLT, contact us by completing and submitting the form below. If you are looking for a specif part number, please include it with your message.